With Halloween just around the corner now is the time to start planning out your mani... or manis if you're Halloween crazy like I am. Morgan Taylor is keeping with tradition by offering their annual Halloween themed mini set. The Trick 'r Treats set comes with four mini shades. Glow Top Coat, All White Now, and Little Black Dress are all duplicates from last year. Orange Crush is the only new shade with this year's set. 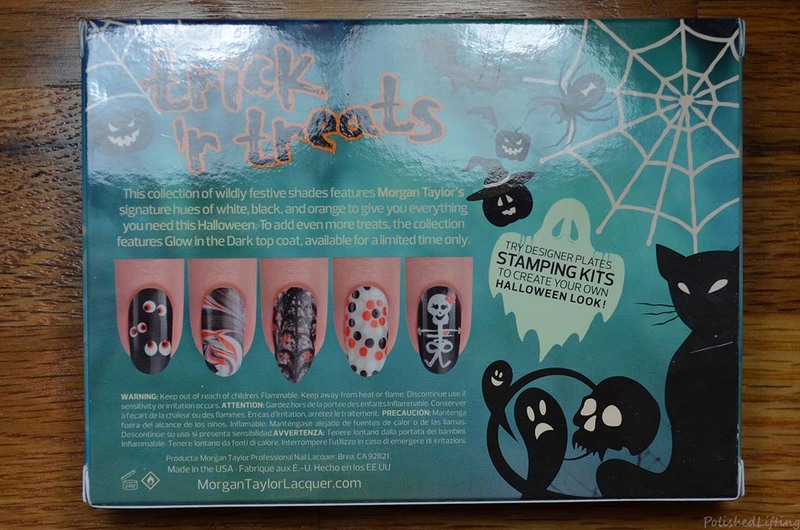 The back of the set has fun ideas for Halloween themed nail art. There's something for every skill level, which I find quite nice. 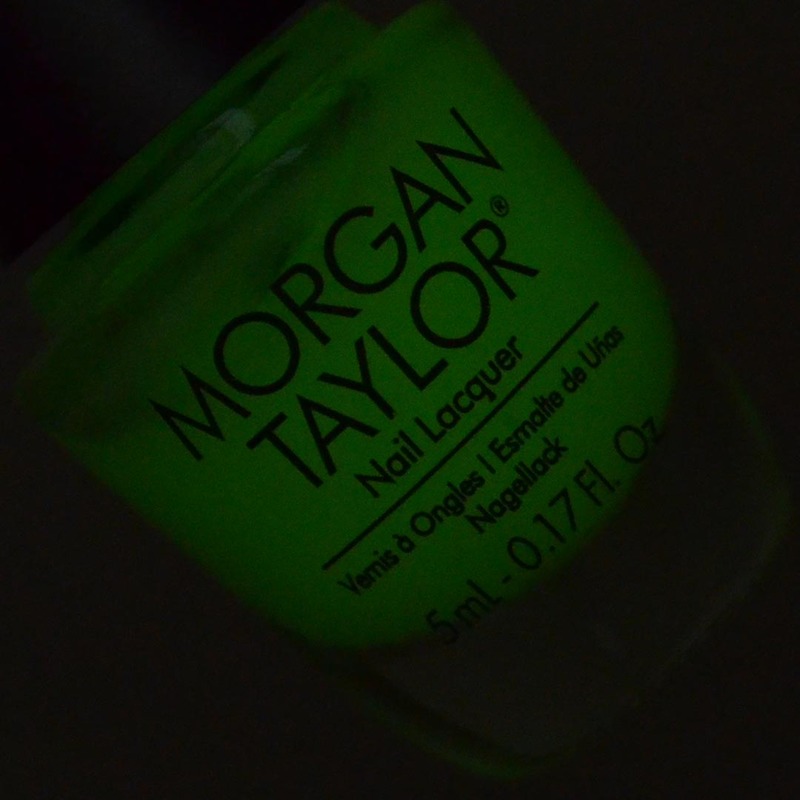 Notes: This top coat is a bit tricky to capture on camera but I assure you, this one glows! This works best over white or light colors. It will not show a visible glow over darker shades. Notes: All White Now is one of the best whites I own. 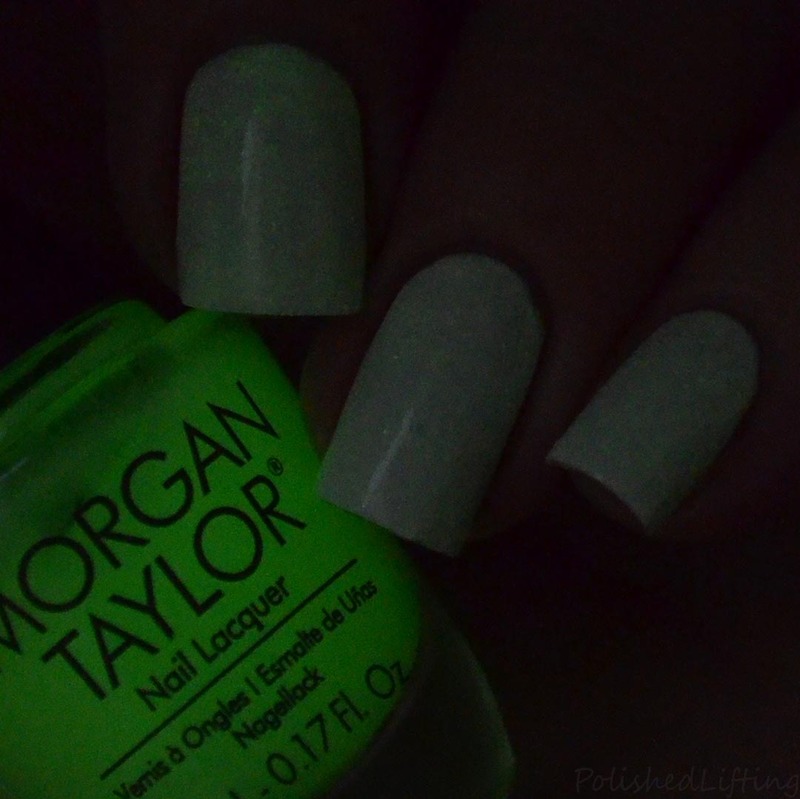 It applies smoothly and is nearly a one coat white. 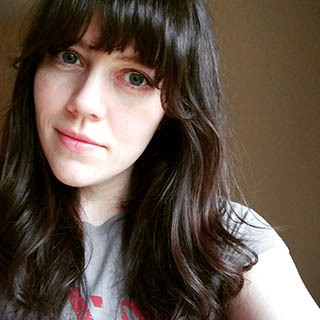 Notes: Little Black Dress is my go-to one coat black. It's great for stamping or a quick, chic black mani. Notes: Orange Crush is so bright it's almost neon. This is a fun pop of color in the Trick 'r Treats set. While there are a lot of duplicates from last year, I thoroughly enjoy all three duplicate shades. I personally have no issue with having backup bottles, especially since I use those colors all the time. 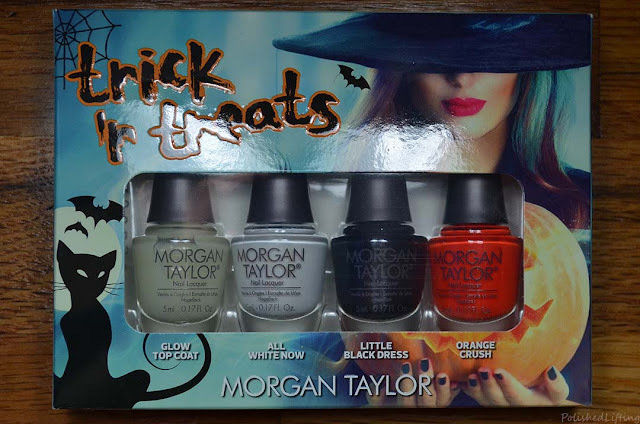 The Morgan Taylor Trick 'r Treats set is currently available at participating retailers and online for a limited time. If you enjoyed this post you might like Freehand Poppies + Morgan Taylor Accelerate & Stripease and Morgan Taylor Matadora Collection | Fall 2017.